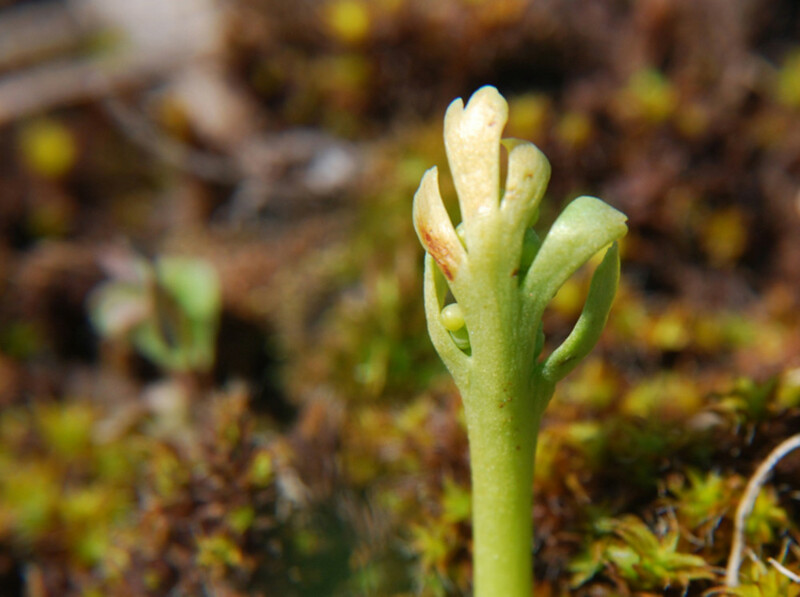 Prairie moonwort is rare and occurs in the Great Plains and northern Michigan, as well as New England, where it is confined to southwestern Vermont in meadows, quarries and grass-covered roadsides. 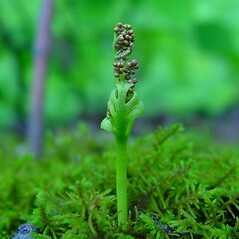 It occurs with the closely-related upswept moonwort (Botrychium ascendens). 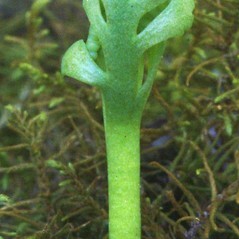 rachis of vegetative portion of leaf often relatively narrow, up to 0.25 times as broad as the entire portion, and stalk of reproductive portion of leaf mostly 0.25-0.5 times as long as the vegetative portion of leaf (vs. B. campestre, with the rachis of vegetative portion of leaf often relatively broad, up to 0.35 times as broad as the entire portion, and stalk of reproductive portion of leaf shorter than 0.25 times as long as the vegetative portion of leaf). 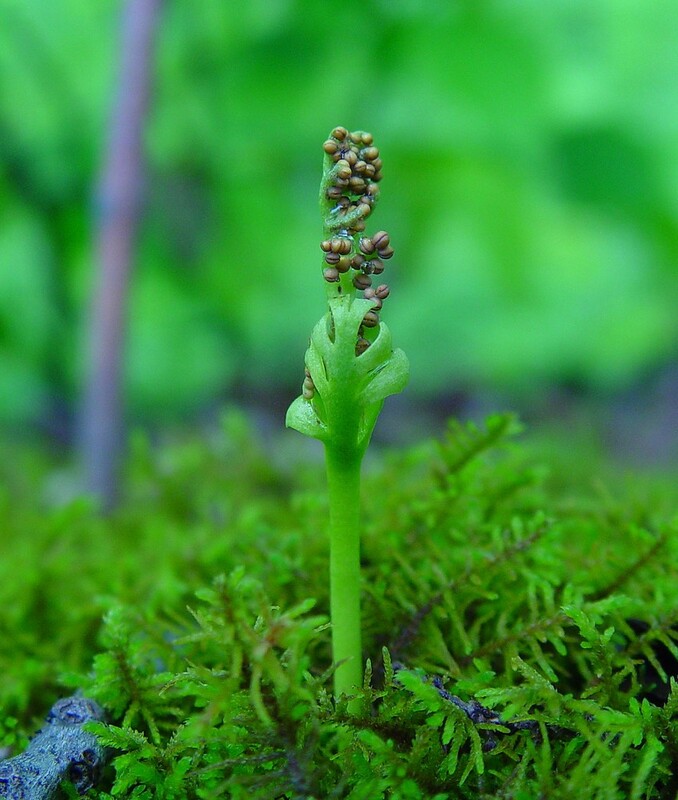 vegetative portion of leaf conspicuously stalked, with the stalk equal to or greater than the distance between the first and second pair of leaflets, and reproductive portion of leaf on a long stalk that is often longer than vegetative portion (vs. B. campestre, with the vegetative portion of the leaf short-stalked, the stalk usually shorter the distance between the first and second pair of leaflets, and reproductive portion of leaf on a long stalk that is mostly shorter than 0.25 times as long as the vegetative portion). 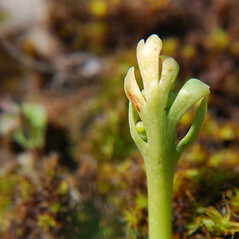 prairie moonwort. VT; southwestern portion of state. Meadows, open quarries, grassy roadsides. 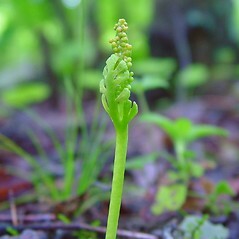 This species sporulates ca. 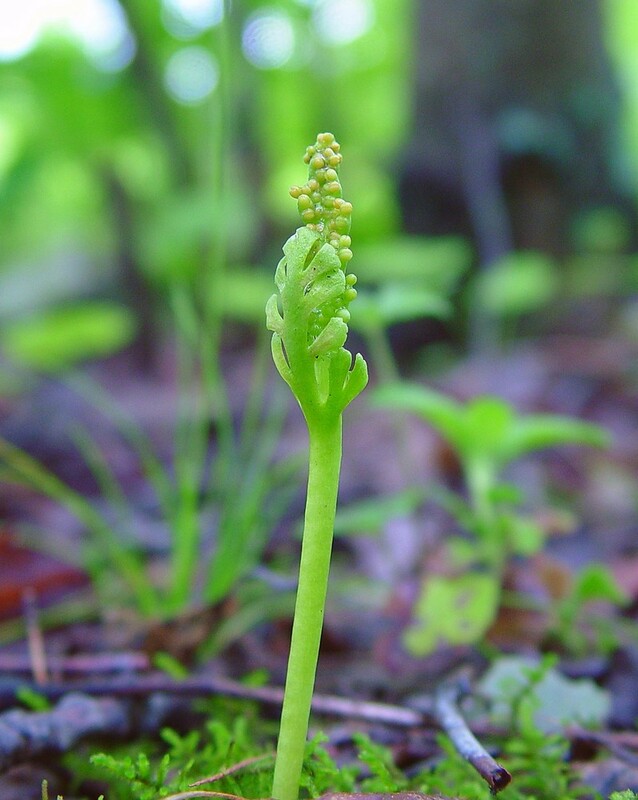 10–15 days earlier than Botrychium ascendens when both species occur at the same site.